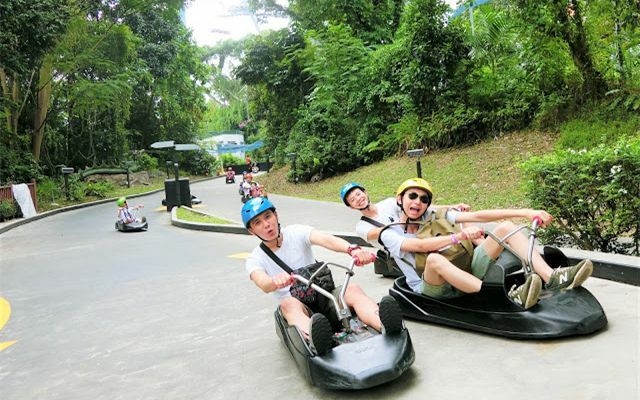 Invented in New Zealand over 29 years ago, and has hosted over 31 million rides worldwide, Skyline Luge Sentosa is the first-ever Luge introduced in Southeast Asia, offering 2 unique type of experiences, the Luge and Skyride! 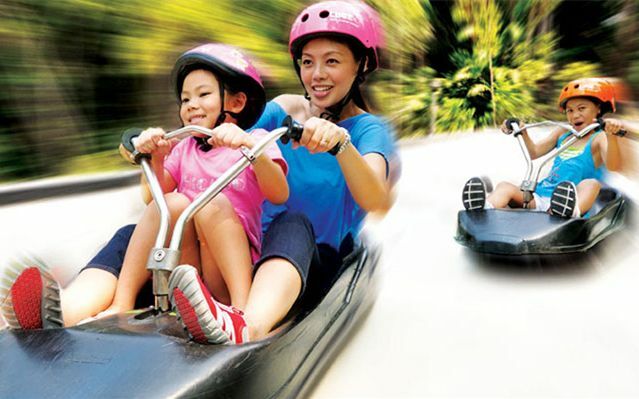 Luge is a fun-filled gravity thrill ride which is safe for all ages. With a unique braking and steering system, you can choose to take a leisurely cruise or race down the 2 Luge tracks, Dragon Trail or Jungle Trail! The experience is never complete without the Skyride. 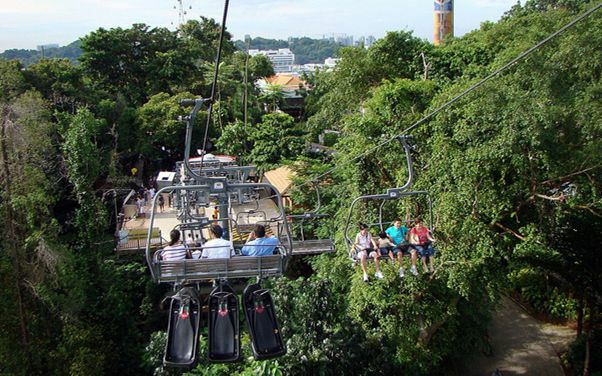 Board the Skyride for a scenic bird’s eye view of Sentosa Island, Singapore City Skyline, and the South China Sea. Please exchange your electronic tickets (PDF files) at Skyline Luge Singapore ticketing counter at Imbiah Lookout or Siloso Beach before 9.00 PM within the ticket validity. Child tickets are valid for children aged 6 to 12 years old only. Tickets for children below 6 years old can be purchased on site for S$3 per child. The child will ride tandem with an adult. Passengers with heart conditions, motion sickness, back problems, other physical limitation such as epilepsy, vertigo, and pregnant women are not allowed to ride on Luge & Skyride. Skyride: Min. height 85cm to ride with an adult & Min. height 135cm to ride alone. Luge: 6yrs and above and 110cm or taller to ride Luge alone. Children under the age of 6 years can ride tandem with an adult. 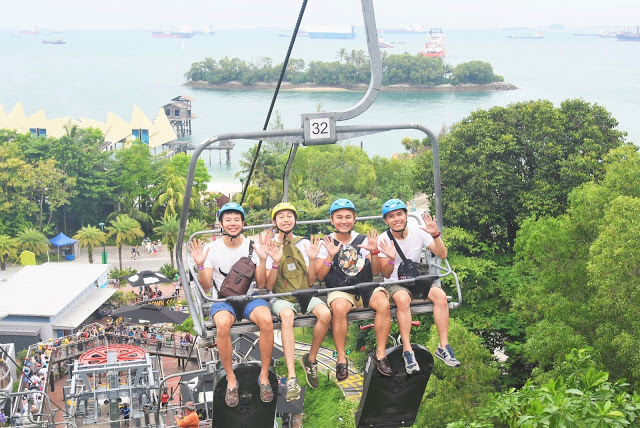 The operating hours for Skyline Luge Sentosa are at 10 AM to 9.30 PM daily. Adverse weather conditions may force a temporary closure of the site during these hours. The last ride is at approximately 9.20pm each night, this is subject to change depending on weather conditions.